Ocoos designs and maintains websites for service businesses including engineering firms, restaurants, hotels, and more. They take care of SEO, hosting, customer support, customer management, and more. In this article, we covered user reviews and pricing. Ready to try Ocoos? Contact their support team for more information. Users who gave Ocoos a positive review said that the company provides excellent website design and hosting services. They also commended the staff for being prompt in answering their queries and being attentive to the details that they want to be included in their site. One user who gave Ocoos a positive review on Google shared that the support team communicates with them in layman terms to make them understand the technical aspects of the website design process. He commended them for understanding all their needs and implementing the design elements that they want. He also said that their SEO score increased in just a few months as a result of the company’s services. As of the date this article was written (10/24/18), there are no negative reviews of Ocoos available online. If you are a past or current Ocoos customer, leave a review to help other business owners who are deciding whether or not to use the company. Ocoos offers personalized and industry-specific subscription plans with rates that range from $600 to $1,700+/site and a maintenance fee of $35/month. The various industries specified on their website include personal services, small businesses, professional services, arts, doctors, engineering and technology, fitness, hotels, non-profits, realtors, restaurants, and more. Interested users are encouraged to visit their site to check the pricing of their specific industry. Ready to try out Ocoos? Contact their support team for more information. 6 Best Website Builders for Small Business 2018 — Website builders are tools to create websites without the need for programming. In this guide, we compared the six best website building platforms in terms of price, features, editor ease of use, website performance, and customer service. 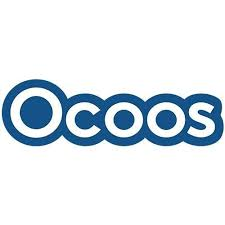 Does Ocoos offer a free trial? There was no mention of a free trial on Ocoos’ website. Interested users need to contact the company’s support team to know more about their products and their services. What is the extent of the service that Ocoos will render to its users? Ocoos provides users with end-to-end website building services — from creation to management, to maintenance. They will work with the user from the start to create a fully functional and personalized website based on their business needs. Not sure if Ocoos is the right fit for you? Read our reviews of all top website building service providers.